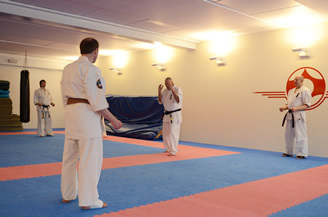 Tromsø karate kyokushinkai held a seminar with Shihan Humberto Budtz as main instructor, assisting him was Sensei Daniel Budtz. Tema for the first part of the seminar was self-defense in different variations, standing fighting and little bit also on the ground. Last part was Kyokushinkai tournament kumite. 17 students from our dojo attended the seminar including several black belts. We had 6 different trainings witch the first was only for black belts. It was an excited group waiting for Shihan teaching. For the first trainings we wear t shirt and shorts and practiced boxing technics with punches to the head. 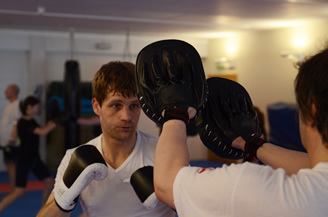 It was a new experience for us wearing boxing gloves and higher guards than we normally do. 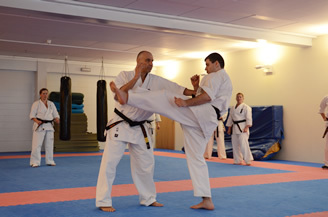 Shihan and Sensei also introduced new and dynamic training methods for strength and flexibility. 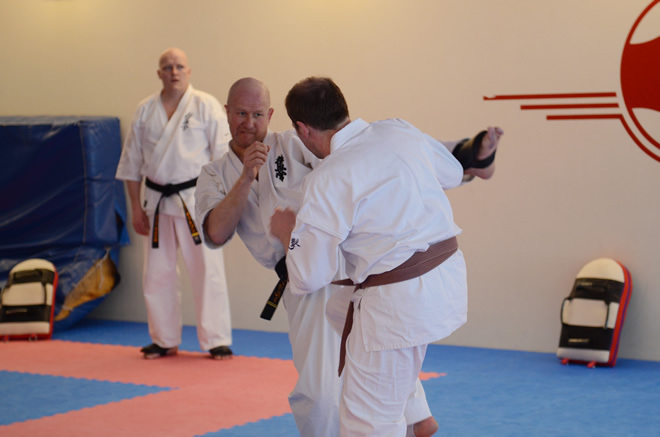 The Kyokushin part was a lot about moving and avoiding kick and then counter attack. He also explained important details about mawashi geri. In the end there were several rounds of kumite. In the end students were happy after this new experience; we are looking forward to se Shihan and Sensei in our dojo again.